Is It Democratic‏ for Newspapers to Take Sides? How unfair it is to have a newspaper lend so much support behind a political party. The Sun as we all know can get very nasty turning people into turnips etc. Now I know the Sun is popular, with over 3million papers sold daily, I like the paper much more than say the Daily Mail, the Mirror or the Daily Express. But I have never liked the total all out go and get them attitude they have to politics when it takes sides. Sky which is owned by one of Rupert Murdoch's companies seems much fairer in its reporting, so why should a newspaper be so different. Sky, ITV, Channel 4 all appear give a fairer view when compared to the papers and US TV news. So what happens if the Tories from now on do make some news worthy gaff on a policy which the Sun readers would of wanted to know about? Do the party focused press report it? Do they stick a turnip on Cameron's head, I bet they don't. It's just not cricket is it. Now I know what you the reader may be thinking. Yeah well this guys a Lib Dem and they have no support in the press, so of course he doesn't like it? Well ok yes there is no Lib Dem support or infact support for any other party apart from the big two and yes I don't like it. But I also genuinely think that taking such strong sides in an election is not democratic and does skew the result. What do you think about our newspapers taking such strong sides in the political arena? The election will be held on Thursday 15th October 2009. For those voters living in the Hanworth and not the Birch Hill area of Bracknell then you will also beable to vote for a town councillor. 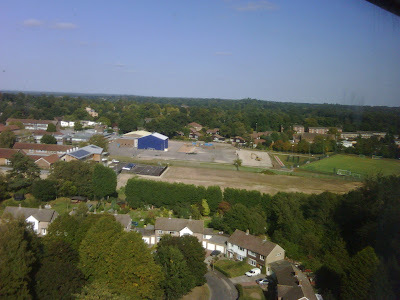 What has happened to the great regeneration plans for Bracknell Town? Following years of delay Councillor Bettison has said to the local press that 'Any such development must be demand led'. So what does demand led mean? This means that the town centre redevelopment will only happen on an adhoc basis will be a very slow in happening. 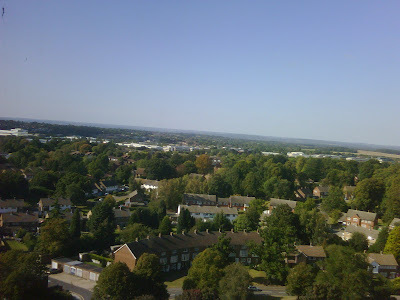 It will look nothing like the plans here http://www.Bracknell-forest.gov.uk/environment/env-regeneration.htm . Bracknell town centre is looking outdated and there are now a number of empty shops and buildings. Although some of these empty buildings are due to the recession some are also due to the short leases and delay and uncertainty in the town centre planning. Its not only the fact that the plans have been delayed for so long its also the cost of these plans. I can remember the surveys being carried out all over the town for the regeneration plans. The costs of the development plans themselves and the exhibition in town showing people how their town centre could look if only it happened. The local conservative party has been in control of the local government since 1997, which means they have had plenty of time to carry out the plans for the ambitious redevelopment. 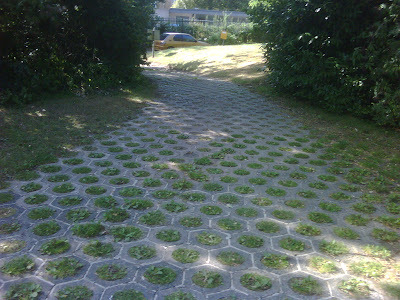 If it was not possible then maybe a less ambitious plan should of been considered. Could this be yet another reason for councillor Paul Bettison not making the short list for the open primary as this would of been an easy stick for opposition parties to point out in the leaflets. ‘ Iain Dale – top Conservative blogger, author and publisher. Iain stood in Norfolk North at the last election. Ryan Robson – an investment banker and Chairman of the Centre for Social Justice’s looked After Children Working Group. This list certainly contains some big hitters but interestingly no local candidates as there was in the open primary in Totnes in Devon were Dr Sarah Wollaston a local GP in Dartmoor. As reported here, Paul Bettison, leader of Bracknell Forest Borough Council is excluded from the shortlist. Another interesting comparison to the Totnes open primary is the fact that postal votes were sent out to the constituents. However in Bracknell you have to request a ticket and turn up at the Blue Mountain Golf Centre to vote. This I expect could be down to cost but this could inadvertently affect the vote. Because there will be many less members of the general public voting. A constituent can request a ticket and vote but I would expect most of the local conservative members to attend and indeed members of other parties giving them a greater influence on the vote for the next Conservative PPC member than they would of had in a more open public vote. UPDATE: YOU DO NOT NEED TO REQUEST A TICKET. YOU NEED TO REGISTER AND THEN FURTHER INFORMATION WILL BE SENT TO YOU ONE WEEK BEFORE THE MEETING. VERY SORRY FOR ANY CONFUSION. The Office of Fair Trading have charged million pound fines to a number of construction firms for secretly fixing bids for contracts building contracts. As report here on Bracknell Blog we have been very concerned with the high cost of works and service charges to residents in flats. This involved cover pricing where the companies secretly work together to raise prices. One of the companies will table an artificially high bid for work so the other company can then offer a lower bid price. This lower bid will look more favourable but it will be much more than the actual cost and therefore the bid will not be a correctly costed. 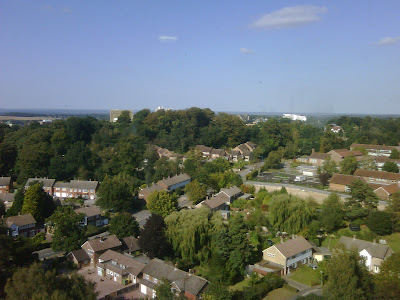 In 2004, Apollo Group, (one of the companies fined), won the contract for window replacements and other improvements at Mount Pleasant in Bracknell. The contract was for a total price of £606,000 and was with the Southern Housing Association who manage the flats in Mount Pleasant. Apollo claims that these allegations are wholly unfounded and has appointed a team of lawyers to investigate the claims. Why is Paul Bettison not on the Bracknell Tory primary shortlist? There is an interesting story that the deputy political editor of the Evening Standard Paul Waugh has on his blog today. 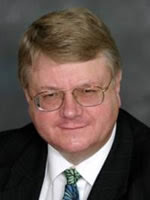 He has reported that Conservative Home are saying that Paul Bettison, leader of Bracknell Forest Borough Council has been excluded from the shortlist for the upcoming open primary. I wish Eric Pickles would stop calling them bin taxes. It is very galling. They are bin charges. They are not taxes at all. You pay for the service you get. The current system of invisible waste charges is much more like a tax. I know what it is like to be in opposition, but many of us Conservatives are in power in local authorities, trying to run waste services, and he is not helping us. Paul also reports criticisms Mr Bettison apparently made of Shadow Chancellor and key David Cameron ally George Osborne's plans to cut council tax. I don't know the ins and outs of this but what I would say is that open primaries are supposed to be just that, open. If a successful and leading local Conservative politician has been excluded from the shortlist, whatever the reason then this does not say much for the democratic process that these primaries are supposed to embody. I would be interested to hear what other local residents think about this. The Bracknell Conservative Association have fixed a location for the all ticket open primary to replace Andrew Mackay who is standing down after the 2nd homes scandal (see here). Its at Blue Mountain Golf Centre on Saturday 17th October 20091.30pm for a 2.00pm start. The web site states that to vote, you must register by 5pm on the 12th October 09. You can call the Primary Hotline on 01344 868894 or Email primary@bracknellconservatives.com. The website also has a handy online form for applications. Are conferences bad for political parties‏? Going to the Lib Dem conference and watching the news about the conference almost feels like two completely different events. All this news about disunity is really not the case at all. 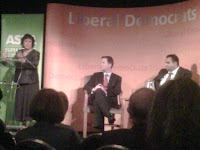 Can a political party not have a conference where there is no open discussion? What would be the point of a conference where we all agreed? I prefer politics when you don't just have a bunch of robots following every command of the leader. It is good to question them as it will produce in the end better policies. I can predict that something will happen at the Labour and Tory party conferences where they are also shown in a bad light due to some internal disagreement. But let’s bear in mind that some of this disagreement is part of the process and we should be pleased that it exists for the good of politics. Of course the usual positive point for any political party is the main rally, the leader’s speech at the end of the party conference. But from the public’s point of view taking a whole month of conferences into account, I do wonder if conferences are bad for political parties‏. I guess some exposure can hurt them. Before reading the stories in some media like the Daily Express story of the pound being less than euro (at the time of writing its 1.10 or a tourist rate of 1.05) Its true that this could happen soon, but it is not true that it has happened at your highstreet bank. Of course behind the headline they do state that this is the price at airports around the UK. But airports are one of the most expensive ways of buying currency. Also the headlines that the Lib Dems are dropping their policy to abolishing tuition and top-up fees is not true. Lib Dem leader Nick Clegg is proposing to delay the abolishment of tuition fees until it can be afforded now that's quite a different thing altogether. This demonstrates how hard it is to get your point across in some media outlets without a few exclusions of your words. Don't simply believe a story because you want to believe it or it reinforces something you think is true. Check it out first you may find that it is simply untrue. That's one thing I have learnt from the media as there has been a few subjects I was going to blog about but when doing some research I find that there are stats on both sides of the story or other doubts. Opinion and comment online, be it newspaper comment or blogs is different from alot of media as it is usually clear that they have a certain take on things and you have the chance to reply and put the other side of the story as soon as its published. I may be a Lib Dem but I am very pleased to have Tories, Labour, UKIP, Greens or BNP voters and indeed undecided and non votes alike to comment and reply to this blog because discussion makes us all think and reminds us that there is always another point of view, this helps to define your own point of view. Blogs help make the media more open and more democratic because we can get more voices out there with more sides to the story and encourage more discussion. 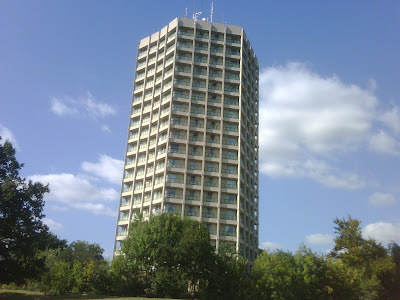 Recently I toured Bracknell's most famous and only social housing high rise tower block as part of Bracknell open heritage days. 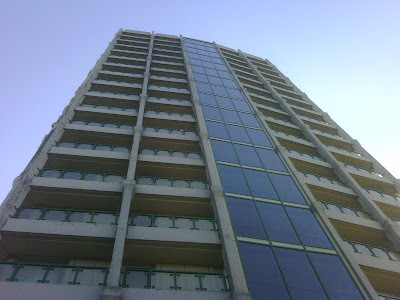 Point Royal (also know as 'the threepenny bit’) was built in 1964 as part of the second neighbourhood project within the new town master plan. Its a seventeen storey block of residential flats designed by Arup Associates, famous for the design of the Sydney Opera House. 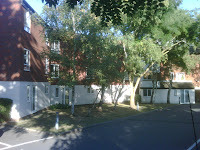 It is situated in Easthampstead Park Estate within the conservation area. 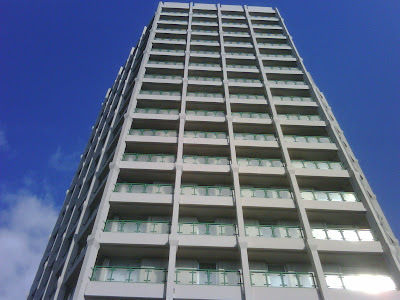 I went there holding a negative view of tower blocks as they were part of a social experiment that frankly didn't work. I also did not agree with the listing of them. However after speaking to a local resident who showed me around the block after the tour of Easthampstead I now understand the importance of keeping some buildings. Tower blocks don't always work not only because of the design but also for a number of reasons like in some cases resident selection or lack of it. I was told by a long time resident that there used to be a selection that used to involve the local community process which is no longer used. As with my flats, residents have to cope with the usual social ills of drugs and drink and occasionally mental health issues. It is just as possible to hide away and not interact socially in houses as it is in flats. It also depends on your neighbours and your relationships with them and your willingness to engage. One surprising feature of the Point Royal is the fire escape route. You go around the outside of the building past the windows and then go into the staircase. 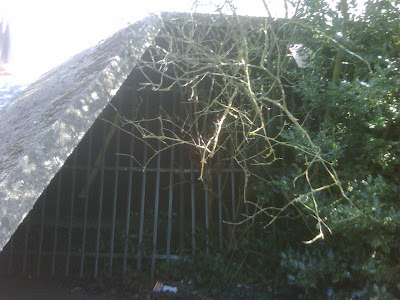 Another interesting feature is the car park, this was once an open space, now gated off to protect the vehicles. Its hard to see the route in which adds a bit of mystery and is contained within the hill, built in a circle around the bottom of the building. The base of the tower has a large mass of concrete in an almost space age landscape. 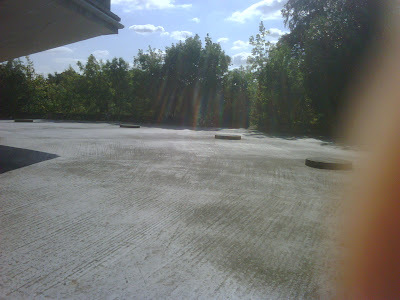 I have taken some pictures of the area please take a look. Can We Change the Lib Dem Manifesto on EU Membership? It is a fact that a high proportion of the electorate within the UK are anti- EU. But, do they really want the UK to leave the EU? Let us assume that the Lib Dem party manifesto promises an IN-OUT referendum within one year of taking office. Bearing in mind that they campaigned for such a referendum at the time of the Treaty fiasco in the Commons last year, I think they will lose much credibility if this quietly disappears! Would this make enough of us inclined to vote for them, and might they actually be elected as a result? They would declare themselves as being pro-EU and would be campaigning for an IN vote, so it would certainly seem a two edged sword. Personally, I think it would win them considerably more votes, but not nearly as many as a far more meaningful referendum would. What if the majority of the electorate really do want us to stay in the EU, but far too many of them will vote for OUT simply because they do not like the way the EU functions at present, nobody seems to listen to their complaints, and the only choice being given is IN or OUT? What if they really only want to see the way the EU functions reformed? During the run up to this referendum the reforms desired by the electorate would become clear, and the UK would be at far less risk of a much feared protest vote for OUT. In my view, the most democratic party out there, the one laying claim to be doing the most to reform the workings of the EU, should take note! Billbloggs has send in an email request to Nick Clegg for him to answer the above question on Sundays Q&A session with him at the Lib Dem Party conference, Billbloggs has also sent a letter to the Lib-Dem news on the above subject for publication. Is the Definition of a Recovery a False Economy‏? Recently a number of major economies have come out of recession (France, Germany and Japan). This lend me to think about the definition of coming out of a recession. It seemed odd that 2 quarters of economic decline is required for a recession and only one month’s economic increase required to pullout of a recession. To me this seems wrong; surely you would need to have 3 months of GDP expanding to actually pull out of recession. I agree that technically the recession is over if for one month a country pulled out of one, however if the economy took a downturn again say in the next month does this mean we have to wait 3 months to declare a recession again? Imagine the scenario of an economy which is in recession with these movements in the GDP per month using the same unit of measurement (see graph) expanding the odd month but also with more periods of contraction. We all know that this is an economic decline as that's the trend but this scenario would not be called a recession at the time just stagnation perhaps. In hindsight people may look back and call this period a recession but not when they are in the moment, the government would say look we are out of recession when really it’s not the case. Naturally in real life we tend to go through an economic cycle of growth and decline etc so I admit that the above scenario is unlikely, but it is possible a close example of this is Japans lost decade. Perhaps we should really have economic recovery redefined as 2 quarters of economic growth? An economist looking at the situation would say that 'we are coming out of recession' but a politician who is in power would say 'We are out of recession'. I think economists should point out to politicians that just because an economy does not shrink it dose not mean that the economy is now out of a recession. Watch and see over the next few months when these claims are made. I would like to note that I have a diploma in economics. A recently revelation that Heatherwood in Ascot (serving Bracknell, Crowthorne and Sandhurst) at one point had a debt of £20million. This debt was revealed during this weeks healthcare scrutiny committee when it was explained that a surplus of £2million in April 2008 then become a debt of £20million by April 2009, but because of a number of cost improvement programmes this will now be reduced to £10million by April 2010. This sum of £10 million seems to me to be a huge number to find for Berkshire East Primary Care Trust that manages a budget of almost £500million. 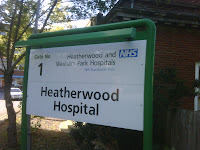 The trust have claimed that there will be no reduction of services this year however staff at both Wexham Park and Heatherwood hospitals have received letters warning that their jobs are under threat (As reported here). A source close to me also informed me that millions of pounds worth of invoicing was delayed and some invocing has been refused payment due to the invoicing being incorrect and late. The trust now have a new Chief Executive Julie Burgess who is now tasked with reducing this debt. This debt makes you wonder how the hospital was managed. The NHS is famous for having a high level of administration and management layers, Perhaps some savings could be made here as management has some blame for this debt as well as IT replacement, temporary staff costs and changes in services and funding arrangements. The people of Bracknell and surrounding areas have been worried for some time that Heatherwood could be closed one day and this kind of debt management just add to their anxiety. Bracknell Conservatives are holding a open primary on Saturday 17th October to attend you will need to call 01344 868894 to book a place or email bracknellca@tory.org. This is to replace our current MP Andrew Mackay who is standing down after the 2nd homes scandal (see here). Please remember that Bracknell consistency will from the next election now include Martin's Heron, The Warren and Forest Park and now out of Bracknell but under Windsor are Warfield Harvest Ride and Binfield and Warfield. At the time of writing no venue had been decided but I understand that the candidates will be selected from the people who have applied to be one. There will then be a shortlist of 6 candidates who will give a speech during the primary then the future Tory PPC will be selected by the constituents. Mr 10 Percent can I have some more Please! David Cameron has proposed a number of reforms that he plans to implement if the Conservatives are elected. This would result in ever more people not being represented unless we change the voting system to a proportional one. This is because at the moment under the first past the post system we have way too many safe seats (see Mark Reakons report here) Since the 1970 some 50% of seats have never changed hands. If the constituencies are bigger then it follows that they could have even bigger majorities surely the same will happen again. We will still have way too many safe seats. Safe seats that allow career politicians allow the parachuting in of party leaders chosen few and were a contribution element to the expenses scandal. If the number of MPs are to be introduced then surely its best to actually reduce the size of the government too in line with this change, Do we need so many junior ministers, should we have party whips? Can the senior civil servants be reduced, Do we need so many ministers in-fact we now have around 120 including whips while during world war two we only had 74 how did we win the war with only (almost) half as many! I believe the Single Transferable Vote or STV would remove these safe seats and should be introduced as part of a reduction of MP's. Of course the Lib Dems have always believed in proportional representation, as it is a fairer system. We should have a PR system anyway but there is an even bigger requirement for STV with less MP's. Our infrastructure is clearly being severely stressed! The ongoing population growth in the UK is not sustainable, any more than the current rate of global population growth is sustainable! Do you think that to be a responsible electable UK government that political parties need a bold, tough, new population policy for the UK? Could such a policy help them get elected? I think so, on the basis of a simple common sense argument over climate change. The current prediction for UK population growth is from 62 million now to 77 million by 2050. The UK government seems prepared to allow a population increase of 25% over the same time frame. How are we are expected to reduce our annual CO2 emissions by 80%! This is Madness! How much more are the existing 62 million people in the UK going to have to reduce their CO2 emissions to make allowance for the increase in CO2 emissions caused by 15 million more people over the next 40 years? How much harder will that be? Globally the situation is even worse. Here the population is expected to increase by at least 33%, yet the same order of CO2 reduction is being required of the 6.7 billion people we have already, around 2 billion of which we cannot feed properly now! This is utter lunacy! Are the government and all of us really serious about tackling climate change? Isn't it high time something was done about limiting population growth - both in the UK and globally? This subject appears to not be considered but surely this is the elephant in the warm climate change room! In Addition to the July report on Broadmoor detailed in Bracknell Blog here, Yesterday a new report was published my NHS London into the death of a patient at Broadmoor Hospital. The report concluded that "a collective failure at all levels" the report was investigating the killing of a patient by Peter Bryan sent there for murdering his friend Richard Loudwell and eating parts of his brain. The report accused Broadmoors management of a lack of leadership at most levels and little common purpose within to deliver a first class service to patients and the public'. The report also highlights severe organisational failings at Broadmoor which contributed to the killing. These failing include, No risk assessment carried out on Peter Bryan, On the day of the incident 6 of 9 staff on duty were in their offices with doors shut, for over several months there were repeated failures to take seriously complaints made by Richard Loudwell. Some people would say let them die but what they forget is that we live in a caring society, they also forget that suffering from severe mental illness is not the fault of the individual and most of the patients have not committed murder but did commit a very serious crime. Others are there because they were found unfit to plead in a trial. NHS London published two separate independent reports into the care and treatment of Peter Bryan by East London NHS Foundation Trust and West London Mental Health Trust. Crowthornes Broadmoor Reported as Unfit for it's Purpose. A report by the Care Quality Commission in July criticised West London Mental Health NHS Trust for ‘failing to tackle a series of shortcomings’. Broadmoor high security hospital is home to 260 patients, which include the Yorkshire Ripper and Stockwell Strangler. Eight of its residents have killed themselves in the last eight years. One reason for Broadmoors high suicide rate is opportunities that patients have to hang themselves as Broadmore still has window bars. Broadmoor is a listed building which means that it currently can not remove curtain rails and hooks and window bars. The other reasons stated by the report include lack of supervision, management of risks, sub-standard buildings, bed shortages, health care and not enough staff with the right training. West London Mental Health Trust has been in communication with English Heritage however English Heritage claims that this subject has not been approached (As reported by the BBC here). It would appear that West London Mental Health Trust need to make this point to a English Heritage as strong as they can as keeping these hook points there is in itself madness. The listed status does not mean that no alterations can take place; it simply means that alterations have to be given listed building consent so minor works can be done. Of course all this can be improved by the planned redevelopment of Broadmoor which was built in 1863! Broadmoor in other words is simply out-of-date. Mental Health practices in the 1900’s were very different to how they are now (This has been well documented see here for example). Redevelopment was approved by the Secretary of State in November 2005. The trust is currently reviewing four short listed options. This need to happen as soon as possible as a redevelopment of the hospital has been urgently needed for many years and would help lead towards better treatment and rehabilitation. In the mean time management need to take on board the findings of the report and make changes in both practice and some physical changes to the building itself. However English Heritage is not the only organisation at fault.